The surf's up for wake surfing - anywhere, any time, on the Bryant 233X. 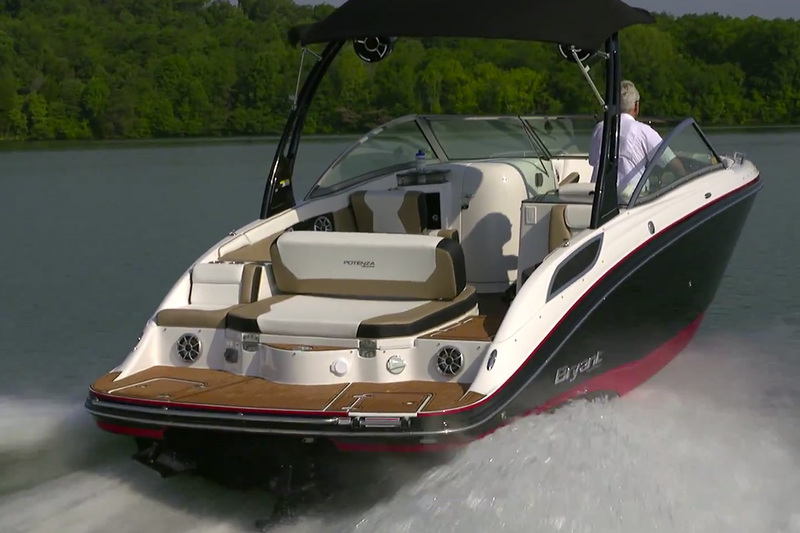 Bryant rides the wake surfing wave with the 233X Surf, the first stern-drive runabout equipped with the Volvo Penta Forward Drive and a package of features that enable wake surfing. 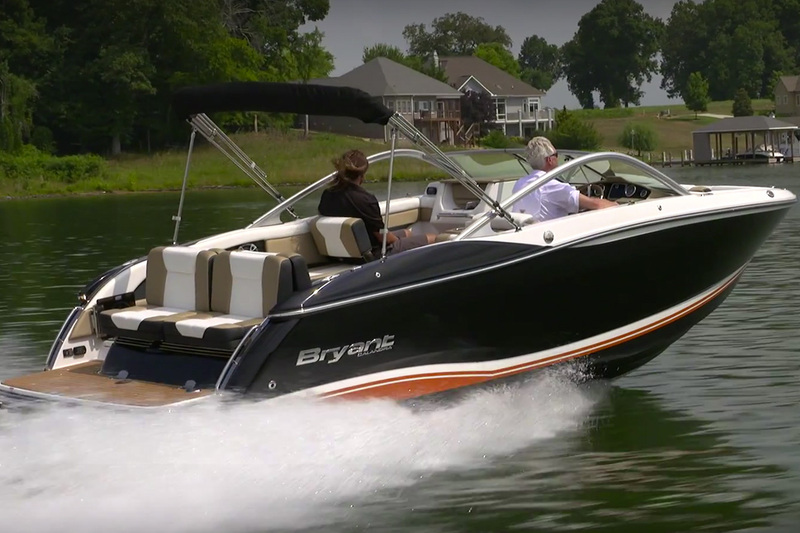 Previously wake surfing was limited to owners of inboard runabouts, but this new bowrider offers tremendous versatility for the athletic family. Click on the picture below, and get the scoop on the 233X. 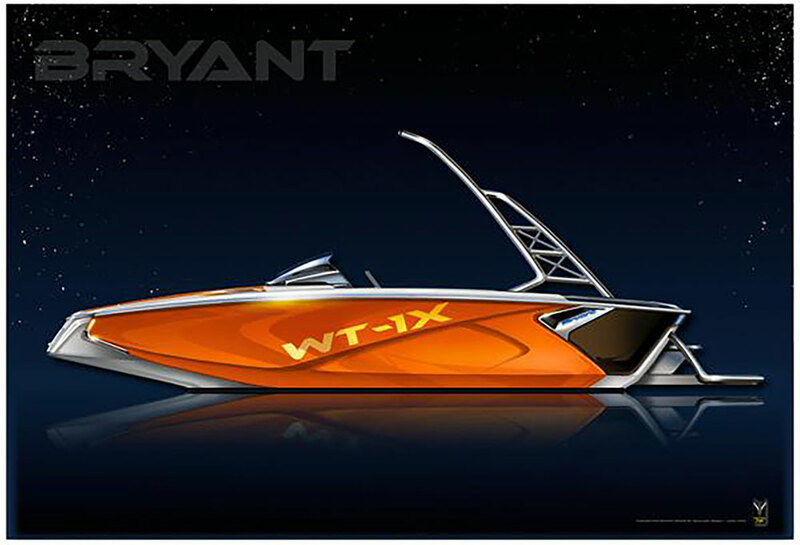 A sterndrive runabout designed to enable wake surfing. All deck hardware is high-quality stainless-steel, as are the stout hinges. Volvo Penta Forward Drive and a 300 DPI engine delivers performance similar to that of a DuoProp drive. Top speed was 49.6 MPH at 5300 RPM. Best cruise speed was 3500 RPM and 30.2 MPH, where we observed 3.6 MPG. I found the response to steering input delivered by Forward Drive exceptional; it seems to move the pivot-point of the hull further forward and also always keeps the drive and props buried in clean water under the hull. 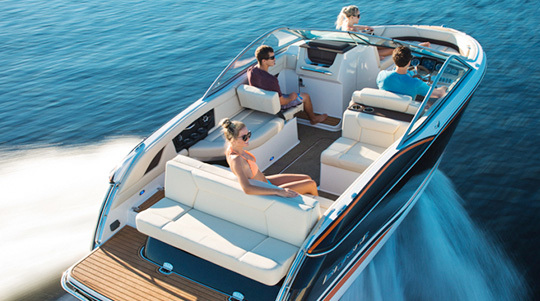 The boat feels planted in the water – like an inboard – but still offers the advantages of drive trim. Because the props are out of the exhaust, reverse thrust is also outstanding. Forward Drive moves the props 27 inches forward from their location on a regular DuoProp stern-drive outdrive, and thus 27 inches further away from the surfer. All exhaust is vented under the water, so fumes do not reach a surfer (or wakeboarder) behind the boat. One disadvantage of the Forward Drive as compared to a standard stern drive is the inability to trim above the bottom of the boat. 450-pound ballast bags in the aft corners and an 800-pound ballast bag amidships, each controlled individually from the helm, which can be used to trim the boat to create the desired wake shape on either side of the boat. Zero Off digital speed control with GPS, which holds selected speed to 0.1 MPH and is pre-settable to accelerate just to the selected speed. Sport Porch, a 30-inch extended swim platform, another barrier between the surf rider and the prop that also makes it very easy to reboard. 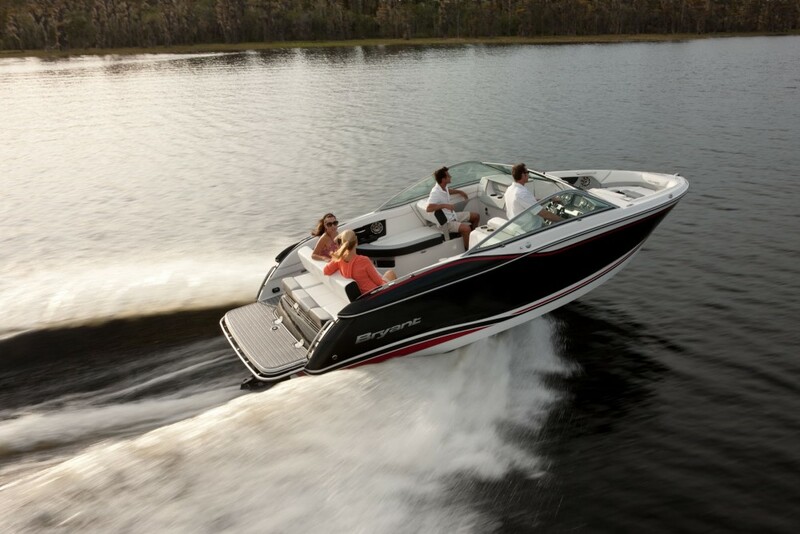 Surf Tabs, special trim tabs that can be lowered to influence the shape of the rooster-tail behind the boat, providing adding shape and energy to the wake opposite the lowered tab. 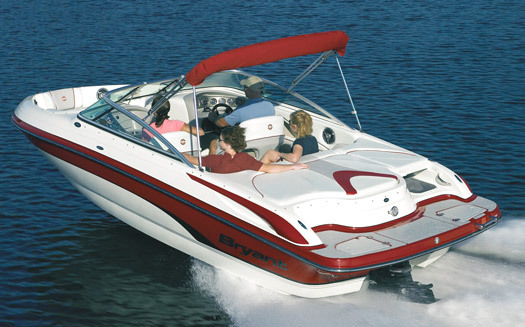 For more information visit Bryant Boats, or look at some current Bryant 233X listings.